Augusta–Richmond County is a consolidated city-county on the central eastern border of the U.S. state of Georgia, and located on the Savannah River, at the head of its navigable portion. It is in the Piedmont section of the state. The metro Augusta area is situated in both Georgia and South Carolina, which is divided by the Savannah River. 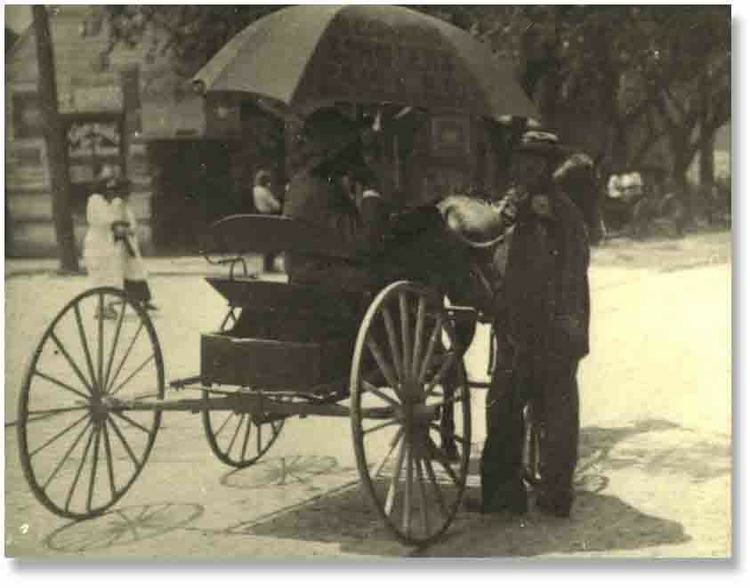 Augusta's warm climate has made it a major tourist destination for the Eastern U.S. since the early and mid-1900s. In 1735, two years after James Oglethorpe founded Savannah, he sent a detachment of troops to explore the upper Savannah River. He gave them an order to build a fort at the head of the navigable part of the river. The expedition was led by Noble Jones, who created a settlement as a first line of defense for coastal areas against potential Spanish or French invasion from the interior. Oglethorpe named the town in honor of Princess Augusta, wife of Frederick, Prince of Wales. (She was the mother of British monarch King George III). Oglethorpe visited Augusta in September 1739, while returning to Savannah from a perilous visit to Coweta Town, where he had met with a convention of 7,000 Native American warriors and concluded peaceful relations with them in what is now the northern and western part of Georgia. 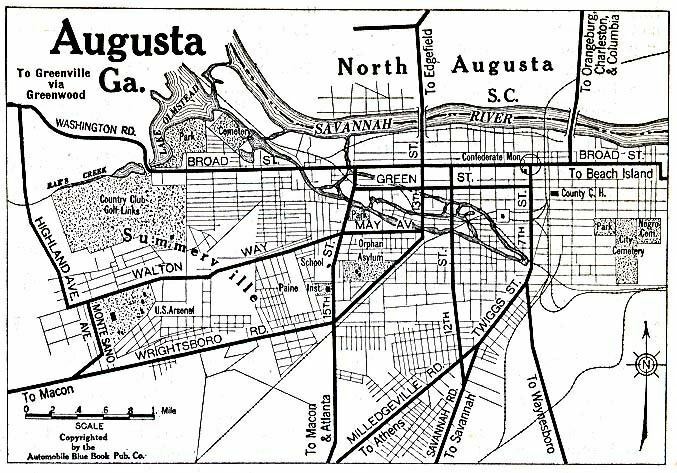 Augusta was the second state capital of Georgia from 1785 until 1795 (alternating for a period with Savannah, the first). Augusta is located on the Georgia/South Carolina border, about 150 miles (240 km) east of Atlanta and 70 miles (110 km) west of Columbia. The city is located at 33°28′12″N 81°58′30″W (33.470, −81.975). As with the rest of the state, Augusta has a humid subtropical climate (Köppen Cfa), with short, mild winters, very hot, humid summers, and a wide diurnal temperature variation throughout much of the year. The monthly daily average temperature ranges from 45.4 °F (7.4 °C) in January to 81.6 °F (27.6 °C) in July; there are 53 nights with the low reaching the freezing mark, 82 days reaching or exceeding 90 °F (32 °C), and 5.5 days reaching 100 °F (38 °C) annually. Extreme temperatures range from −1 °F (−18 °C) on January 21, 1985 up to 108 °F (42 °C) on August 10, 2007 and August 21, 1983. Snowfall is not nearly as common as in Atlanta, due largely to Augusta's elevation, with downtown Augusta being about 900 ft (270 m) lower than downtown Atlanta. Freezing rain is also a threat in wintertime. According to 2013 US Census estimates, the Augusta–Richmond County population was 197,350 not counting the unconsolidated cities of Hephzibah and Blythe. In the 2010 census, Augusta–Richmond County had 195,844 residents. The population density was 647.5 people per square mile (250/km²). There were 84,427 housing units at an average density of 279.5 per square mile (782/km²). The racial makeup of the city-county area was 54.7% Black or African American, 39.1% White, 0.3% Native American, 1.7% Asian, 0.2% Pacific Islander, 1.3% some other race, and 2.6% from two or more races. Hispanic or Latino people of any race were 4.1% of the population. The most-attended church is the Southern Baptist Convention with 221 congregations with 114,351 members. The Catholic Church has 13 congregations and 31,687 members, while the United Methodist Church has 83 churches and 30,722 members. The National Baptist Convention had 26,671 members. The Presbyterian Church (USA) has 14 congregations and 4,500 members, the Presbyterian Church in America has 4,396 members in 14 churches. 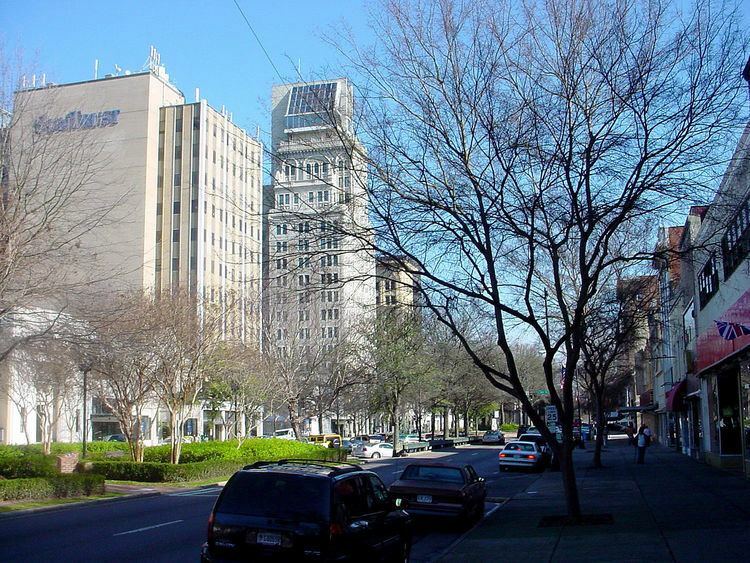 Companies that have facilities, headquarters or distribution centers in Augusta include CareSouth, T-Mobile, Covidien, Solo Cup Company, Automatic Data Processing, International Paper, Teleperformance, Sitel, E-Z-GO, Elanco, Club Car (Worldwide Headquarters), John Deere, Procter & Gamble, Kellogg's and Delta Air Lines' baggage call center. The city's famous golf course, the Augusta National Golf Club, hosts the first major golf tournament of each year, The Masters. This tournament is one of the most prestigious in the sport and is one of the four major championships. The best professional and amateur golfers in the world come to Augusta during the first full week of April every year. The grounds of Augusta National are known for being pristine, and the course was ranked in 2009 as the third best golf course in the world by Golf Magazine. Augusta is the host of the World's Richest Drag Boat Race, held on the Savannah River (Augusta Southern Nationals). The race is part of the IHBA Lucas Oil Drag Boat Racing Series and is sanctioned by the International Hot Boat Association (held on July 18–20). The event benefits the Augusta Chapter of the Georgia Special Olympics. Over 100 racing teams from 25 states compete for $140,000 in purse and prizes as they try to beat the record of 252.94 mph. Public K–12 schools in Augusta are managed by the Richmond County School System. The school system contains 36 elementary schools, 10 middle schools, and the following nine high schools: Glenn Hills, Butler, Westside, Hephzibah, Aquinas, T.W. Josey, A.R.C. (Academy of Richmond County) Lucy Craft Laney and Cross Creek. There are four magnet schools: C. T. Walker Traditional Magnet School, A. R. Johnson Health Science and Engineering Magnet High School, Davidson Fine Arts and the Richmond County Technical Career Magnet School. Private schools in Augusta include Aquinas High School, Episcopal Day School, St. Mary on the Hill School, Immaculate Conception School, Hillcrest Baptist Church School, Curtis Baptist High School, Gracewood Baptist First Academy, Alleluia Community School, New Life Christian Academy, and Westminster Schools of Augusta. Augusta Christian School, Augusta First Seventh-day Adventist School, and Augusta Preparatory Day School serve Augusta, but are located in neighboring Martinez. Until the 1960s the city was a passenger rail hub, with trains arriving from the Atlantic Coast Line (as spur sections from Florence, S.C. from trains such as the Palmetto), Georgia Railroad and Southern Railway (for example, the Augusta Special from New York). The last train to the city was the unnamed daily in-state Georgia Railroad train between Atlanta and Augusta. This latter train, unofficially called The Georgia Cannonball, ended in 1971 with the establishment of Amtrak. Most trains went to the Union Station at Barrett Square. The Southern Railway trains went to the Southern Railway depot at Fifth and Reynolds Street.